A good fly to have when the trout are on red buzzers and snails. Chris has represented England in Internationals twice and truly loves the competitive side of Fly Fishing. Hook : Size 12 to 14. Tying silk : 6/ Uni thread grey. Body : Orange & red seal fur mix. Wing : 4 CDC feather pulled over thorax and whip finish. 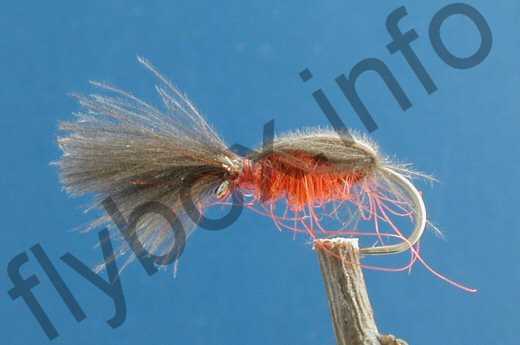 Currently there are no comments about the Red Huttlecock Snail fly pattern from other fly fishermen yet.